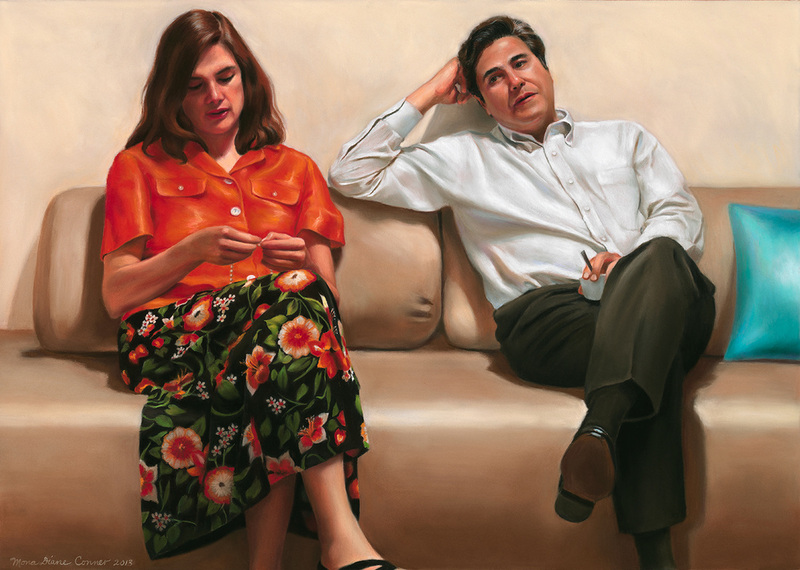 See below my first win in the prestigious 2014 Artist's Magazine Annual, as a Finalist in their Portraiture category, for this portrait of my sister and brother-in-law, Peggy and Marcelo. I was selected for this honor out of 7500 entries, and it was a thrill for me too to be chosen out of so many, but in particular with this portrayal of my family members. My sincere thanks to my sister for hiring me to create this portrait. "After the Party" (Portrait of Peggy and Marcelo), 19 1/2" x 26 1/2", a pastel portrait of my sister and her husband. It was great to be a finalist among such wonderful competition! "Self Portrait at 34", I was also thrilled to have won, for my miniature self-portrait, an Honorable Mention in Portraiture at the 2012 Exhibition of the Miniature Painters, Sculptors, and Gravers Society.